According to a study, the Qigong could be an effective treatment for the symptoms of Major Depressive Disorder (TDM). The Qigong or Chikung is a form of Traditional Chinese Medicine (MTC). It is the art of managing the breath to achieve and maintain good health and improve the body's resistance in coordination with the physical process of breathing. There are two main types of practice Qigong: internal and external. The Qigong internal is self-directed techniques used to grow the circulation of Qi throughout the energy system of an individual practice. Practices include meditation, the subtle movement, viewing and breathing techniques. The Qigong outside is a practice of interpersonal healing in which the practitioner projected Qi to another person in order to promote health or Qi circulation of the recipient. 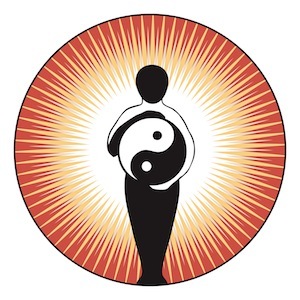 Traditionally, Qi gong is practiced regularly to promote health. The depression o el depressive disorder It is a disease that affects the body, mood and thoughts. A disorder of mood is considered. Depression linked to imbalances in the three neurotransmitters (brain chemicals), serotonin, norepinephrine and dopamine. The depression affects the way the person who has it eats and sleeps, how you feel about yourself, and the way in which he portrays the life situations. Unlike normal emotional experiences (sadness, loss, or passing moods), depressive disorders are persistent and can significantly interfere with thoughts, behavior, mood, physical activity and physical health. This study, scientists examined the potential effectiveness of treatment Qigong in a group of Chinese Americans with major depressive disorder. They signed 14 people who participated in the 12 weeks Qigong and used the Hamilton Rating Scale for Depression (Hamilton Rating Scale for Depression), and several questionnaires, to determine whether the treatment would alleviate the symptoms. The results suggest that the Qigong could be effective. The researchers reported a positive response rate to treatment 60 percent and a remission rate 40 percent. Significant improvements were seen in all scales and questionnaires used during the study. The authors concluded that the Qigong could be an effective and feasible intervention for the treatment of symptoms of major depressive disorder. However, they emphasize that a new study with larger samples is needed to confirm these findings. We have studied many other holistic therapies for the treatment of depression. There is strong scientific evidence supporting the use of light therapy, music therapy, the St. John's Wort and DHEA for this purpose. References: Yeung A, Slipp LE, Jacquart J, et al. The treatment of depressed chinese americans using qigong in a health care setting: a pilot study. Evid Based Complement Alternat Med. 2013;2013:168784. two: 10.1155/2013/168784. Epub 2013 Apr 16.